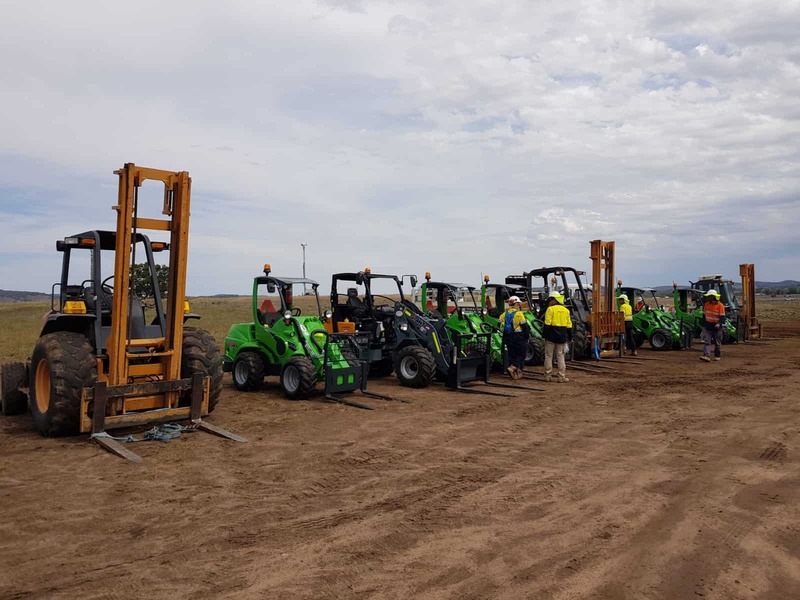 As solar farms are emerging rapidly across Australia, developers, owners and solar construction companies need machinery that will perform multiple jobs efficiently. Move, Lift, Carry and more with Avant! Avant mini loaders are a powerful tool used in the construction of solar farms. With great lifting capacities as well as impressive drive speeds, Avant can help companies increase productivity and reduce manual labour. The narrow dimensions of the machines ensure the Avant can go anywhere as well as perform every job necessary. Regular scheduled cleaning of the PV modules is essential, both to maximise output and revenue. It’s also important to ensure warranty is not compromised by the build-up of contaminants or residue that could damage the panels. Avant Loaders can also assist with the cleaning of panels by pairing it with a solar panel brush. With the Avant’s narrow dimensions, the mini loader can can go anywhere without worry! Vegetation and Grounds management is also essential for the optimal operation of solar panels. Avant machines and attachments will help you mow or slash grasses as well as trim, cut and remove, trees, weeds and bushes. As the top selling brand of Mini loader across Australia for landscapers, arborists as well as estate management, Avant is the perfect solution for ongoing solar farm maintenance. Tried and tested by Solar farms across Australia and the world including Belgium as well as South Africa and more. See our full range of Loaders here. Manufacture of Avant Compact Loaders as well as attachments takes place by Avant Tecno in Finland. For more information call 1800 686 411 or contact us.